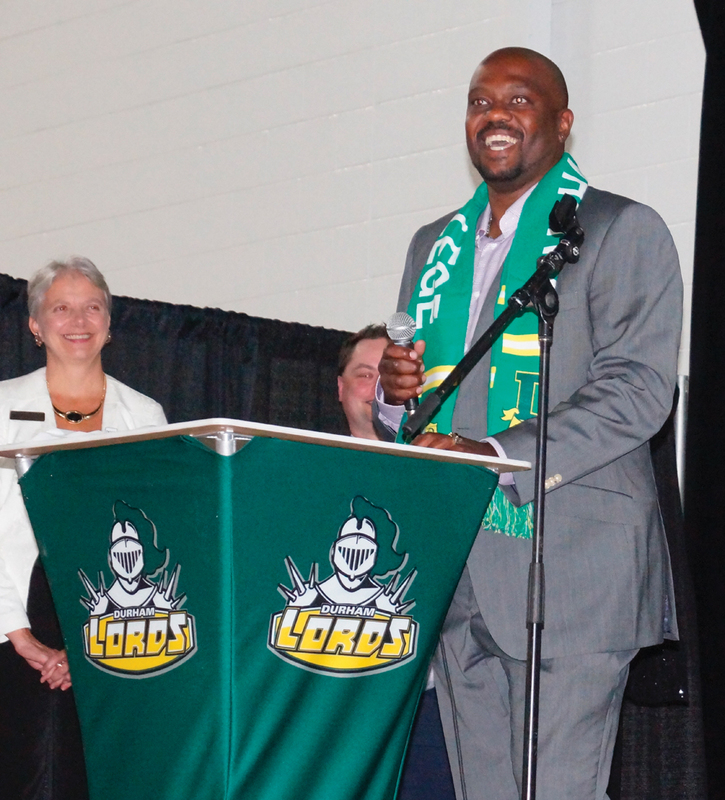 Durham College alumni Kenrick Hopkinson speaks during the school’s Sports Hall of Fame gala on Sept. 8. Hopkinson was a member of the 1996-97 men’s basketball squad, one of four teams inducted during the gala. Should my teacher friend retire?